Security will be tight. Needless to say, these events are never dull. What’s more exciting and compelling than the fight for freedom? COME and bring your clueless friends. How would you like Geller in your head? 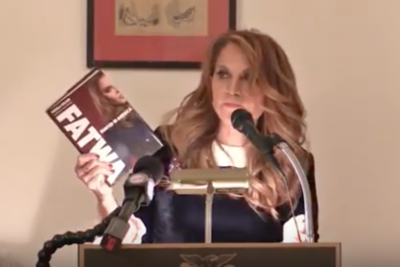 One of Geller’s purposes for writing this book is to explain why a non-political, successful New York businesswoman transformed herself into a Lion of Western Civilization – and why it’s up to private citizens to fight this war. 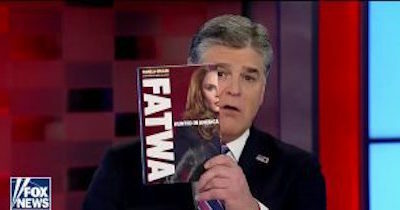 I am deeply humbled by Lindsay Perigo’s praises of my shocking new book, FATWA: Hunted in America. 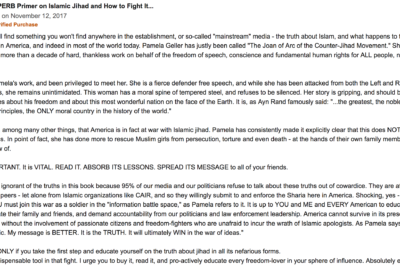 Why did @Amazon remove this 5-STAR review of the book FATWA: HUNTED IN AMERICA? Long time GR reader, Mark Koenig, left this review at Amazon of my book, FATWA: HUNTED IN AMERICA. What better gift can a loved one give than the the gift of freedom and truth? If you are going to be in NYC n November 29th, don’t miss it. Geller spoke via Skype during a meeting of Act Space Coast, a chapter of Act for America, held in Viera, Florida, on Nov. 14, 2017. If the West had stood for free speech when the Danish cartoon jihad raged and ran those cartoons, Charlie Hebdo writers and cartoonists would be alive today, and I would not be living under 24 hour death threat. 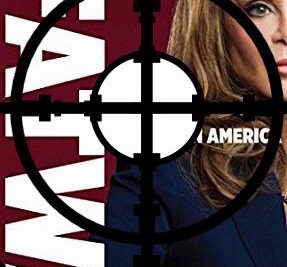 Take a look at this review of “Fatwa,” Pamela Geller’s newest book. It’s really quite amazing, quite shocking and quite stimulating, all rolled into one. Here are Dale Brown’s thoughts on my new book Fatwa, Hunted in America. Watch. The trenches in the information battle-space are social media – your Facebook, Twitter, Pinterest, Google account, etc. And YOU are being silenced, quietly, deliberately and absolutely. 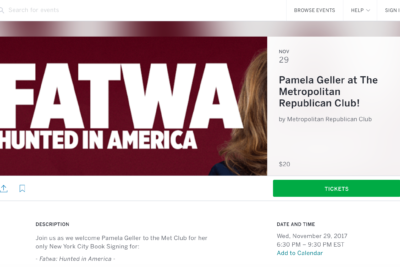 Pamela Geller has a FATWA on her head. She is not “safe” in her own country. She pays for round the clock security to keep herself alive. Her paid security saved countless lives at the Garland terrorist attack…whereas the government security just drove away when the shooting started. We cover a lot in this session, including…. 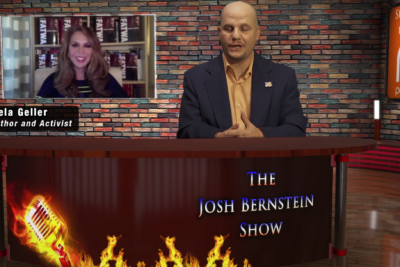 I joined Josh Bernstein on The Josh Bernstein show for an extensive, wide ranging interview and brought me to pen FATWA: Hunted in America.